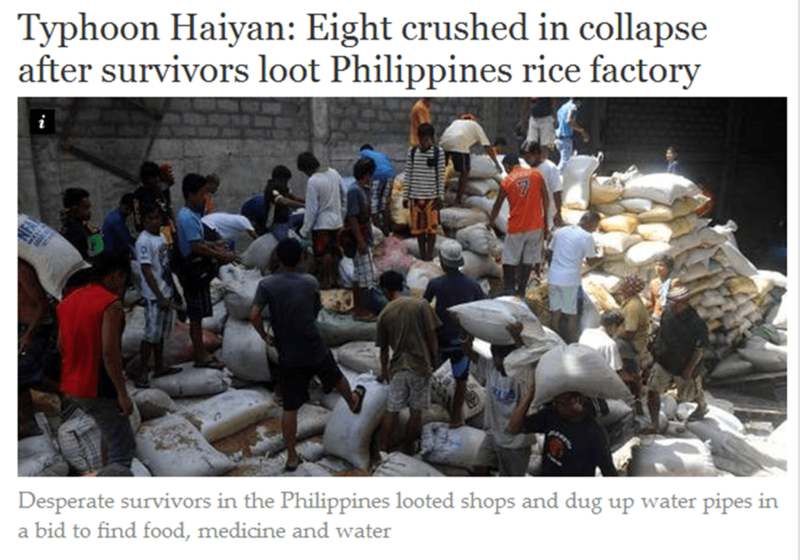 The sensationalism in many of these articles flies in the face of a body of DRR (that’s Disaster Risk Reduction) research and evidence which strongly suggests looting behaviour is atypical in most disasters. So atypical in fact, that de Goyet went as far as including it in the eight disaster myths he put forward to the World Health Organisation in 1991. My inclination, based on experience of comparatively small-scale emergencies in the UK, is to agree with de Goyet, however perhaps not so staunchly. I think there is some value in recognising that there will be those who are forced to take action to survive, but there are also likely to be a minority of opportunists who recognise that they can take advantage of a situation. Clearly there is a world of difference between the two situations, comparisons are impossible, but I thought it worth throwing into the current mix of conversations on this aspect that there is still room for improvement in our understanding of public behaviour in emergencies – what was it about the situation in 2011 that resulted in looting behaviour? Perhaps with a more well developed understanding of when looting does happen, we’ll be better able to challenge inappropriate use of that term in describing survivalism associated with catastrophic disasters.